Gulf Oil Spill : The Two-Way The CEO has been criticized for the way he's handled the aftermath of the Gulf oil spill disaster. 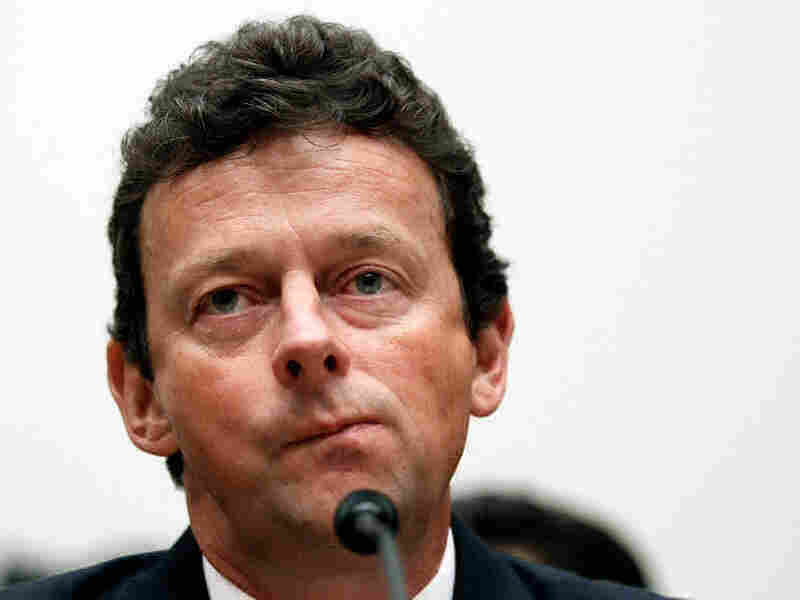 Tony Hayward, the much-criticized CEO of BP, is expected to step down this week, according to multiple reports from news media outlets in the U.K. All are citing reliable sources who have first-hand knowledge about what's going to happen. The Guardian says "BP is planning to announce the departure ... alongside its half-year financial results on Tuesday. The BP boss will be replaced by Bob Dudley, who is currently overseeing the oil spill operation in the Gulf of Mexico." According to the BBC, it "has learnt" that "Hayward has been negotiating the terms of his exit, with a formal announcement likely within 24 hours." The Times of London says Hayward will resign "within days." Officially, BP has issued statements to those news outlets saying that Hayward remains CEO. For now, at least. In the first two months or so after the April 20 explosion, fire and subsequent oil spill disaster at a BP deepwater rig in the Gulf of Mexico, the 52-year-old Hayward was the company's public face. He was eventually shifted to a less public role, however, after a series of infamous statements -- including his wish that he could have his "life back." Considering that 11 workers died in the explosion and fire and that the lives of residents along much of the Gulf coast have been upended by the disaster, Hayward's lament was impolitic at best. So too was his decision last month to go to a yacht race off Britain's Isle of Wight as oil continued to spread over much of the Gulf. Meanwhile, the news from the Gulf today is that ships have returned to the disaster site to continue work on plugging the well and drawing off oil. They had left the area several days ago because of the approaching tropical storm Bonnie.